What do Bob, Jordan, Kushal, Lawton and Precia have in common? 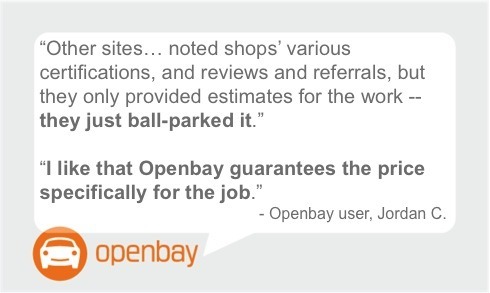 They all tried Openbay for the first time in 2015, and shared their experiences with the Openbay blog. 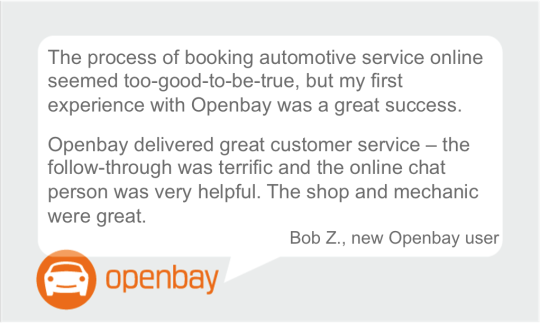 Read each of their stories via the links above, and when you’re ready to book automotive repair or maintenance with Openbay, download the app, or find us online here. 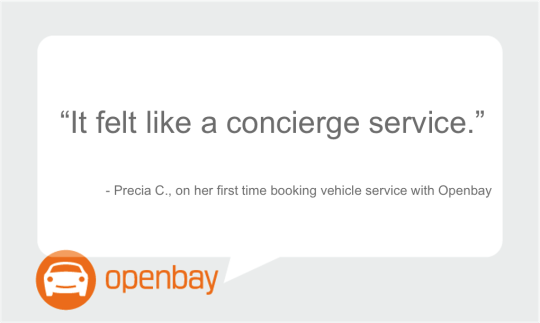 It’s a great way to ensure you’re spending wisely on car repair in the new year. 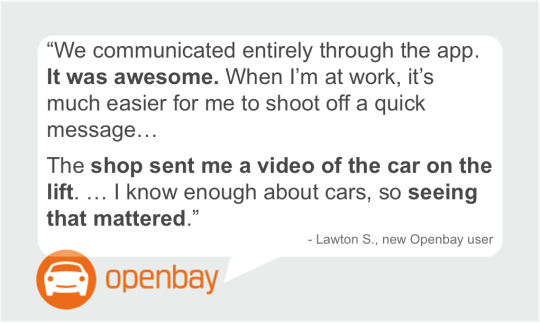 This entry was posted in Customer Stories and tagged apps, automotive repair, car repair, cars, customer experience, customer testimonials, openbay, tech, user stories. Bookmark the permalink.